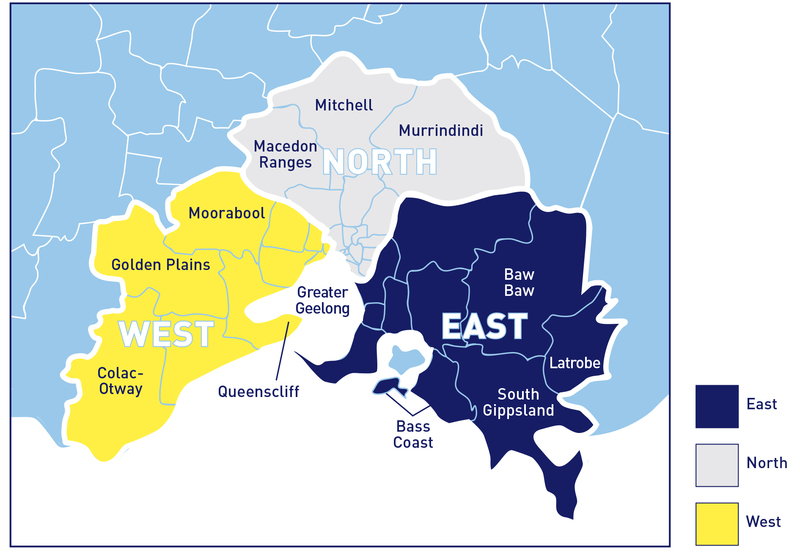 We offer the full range of mandatory building inspections across greater Melbourne and parts of regional Victoria including Geelong, Gippsland, Traralgon and Mornington Peninsula. We can get more inspections done and when you need them with the largest fleet of inspectors in Melbourne. Choosing us as your building surveyor means you can schedule inspections to suit your construction timetable, therefore sticking to your schedule. Our inspectors are all Registered Building Inspectors who take pride in enforcing the standards. We conduct regular in-house training and we’ve established a stringent internal review process so your inspector will always be aware of the latest legislative and industry changes. This means that your homes will be built to the Australian standards. Mandatory inspections are a legislative requirement for all Victorian homes. You may also request additional non-mandatory inspections for your home. At the pre-slab inspection, we check that the concreter has cut the soil according to the engineer’s plans. This is in preparation for the foundations of the house. We also make sure the footings are able to support the load bearing of the house, and that the soil is compact enough. Then it’s ready for the steel reinforcement to be laid. At this stage, we make sure the steel for the concrete slab has been laid correctly by the concreter. The concrete needs to be poured quickly after the steel is approved, that’s another great reason to get the inspection result quickly. Once our inspector approves, the concrete is poured over the reinforcement. We inspect all aspects of the frame, such as the trusses, bracing, stud work, bottom plate and nailing and make sure that it has been put together according to the engineer’s design. This is a critical inspection stage and often is the longest most complex inspection. This happens just before the owner moves in; we make sure the house is suitable and safe for occupancy. We check for things like whether the windows have safety decals installed and that smoke detectors, balustrades and overlooking screens are installed. When your home reaches a mandatory inspection stage, the builder will contact us to organise for an inspection to take place. One of our registered inspectors will visit and either approve or not approve the inspection. As the Registered Building Surveyor (RBS), the inspection reports we provide are called a ‘Direction to Fix Building Work’. These are enforceable as part of the Building Regulations 2018. These inspections are at building stages stipulated by the Building Regulations and require us to check that the builder has met the minimum standards required by the Building Regulations and Building Act. Our role involves making sure the building is safe and suitable for occupation. For example at the frame inspection, one thing the inspector will check is that all the screws and connections are installed properly. However, they don’t check that the walls are straight and level. That’s because it’s deemed as a quality item and isn’t required as part of the legislation. You can read more about our role and responsibility here. When an inspection isn’t approved, we issue what’s called an ‘Oral Direction’. This gives the builder 7 days to fix all directions from the inspector and arrange another inspection. If the builder can’t fix everything and obtain approval within the 7 days, we will issue a ‘Written Direction’. The Written Direction is sent to the builder and to the owner. The report will have all outstanding directions and any photos we’ve taken on-site. The builder must comply with all the directions and have the inspection stage approved before they can continue. As the owner, you’re not required to do anything with the Written Direction. It is simply for your information and to keep you in the loop. We will continue to conduct mandatory inspections until all the directions are approved and we’re satisfied it complies. For more detailed information on Directions to Fix Building Work, the VBA has a practice note available.